In Dhaka Dental College Information, It was established in August 1961 and was the first dental college of East Pakistan. It is the only government dental college in Bangladesh which situated in Mirpur, Dhaka. 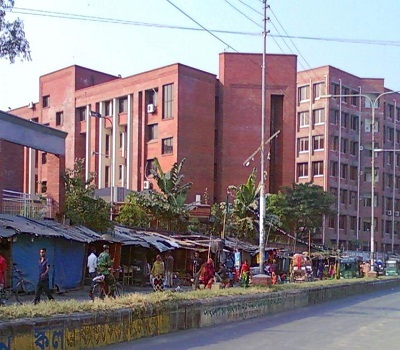 The area of Dhaka Dental College is around 8 acres where are academic building, administrative building, auditorium, 2 lecture gallery, one hospital building, teachers colony, stuff colony, a mosque, two ladies and boys hostel. There is also a Shaheed Minar is situated on the campus. An extended boy’s hostel also is in Shohanbag, Dhaka. Now, here we are going to show all about Dhaka Dental College information and Dhaka Dental College admission process. Dhaka Dental Collage always provides the best facilities to making our countries future doctors. Let’s know more about Dhaka Dental College information and Dhaka Dental College admission process. All the faculty name of Dhaka Dental College is given below. In addition Dhaka Dental College information, there will 2 professional examination will be held in February and August and the final professional exam will be held in February and the supplementary exam will be held in august each year. All the 4 exams are directed by University of Dhaka. Top candidates from all over the country are allowed to sit on the entrance examination. Top 100 Students will select basis on their merits. Dhaka Dental College offers 4 years of BDS course and M.S course under Dhaka University. Also FCPS course under Bangladesh College of Physician and Surgeon (BCPS) is included on the institute. All the interested candidates who want to apply Dhaka Dental College need to submit their SSC or O level else equivalent and HSC or A level else equivalent examination certificate. The entrance examination is taken in MCQ method. Also, there are some special seats for international and quota students in Dhaka Dental College Admission. To know more about Dhaka Dental Medical College admission or Dhaka Dental College information, then contact on these addresses or numbers. So that is all about Dhaka Dental College information and Dhaka Dental admission process. To know more about Dental Colleges in Bangladesh, keep visit in www.bdeducationinfo.com. This entry was posted in Dental Medical College, Medical College and tagged admission Dhaka Dental College by admin. Bookmark the permalink.